Good news! 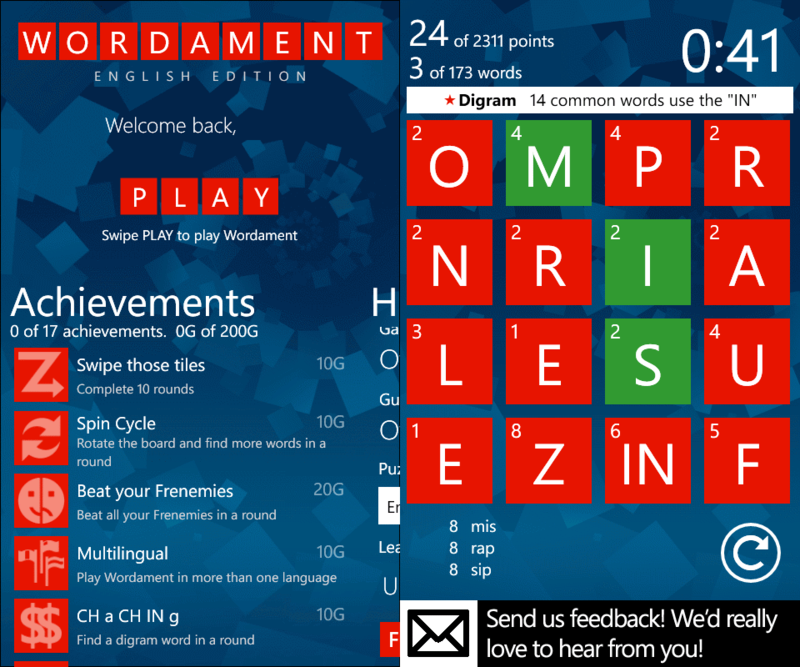 Wordament, a highly successful and everyones bellowed Windows Phone game has just been updated and can already be downloaded from the marketplace. Wordament Xbox Live includes achievements, updated user interface and more! Grab it now for free.